— and as my feet flew before me, my middle, i.e., coccyx, skidded hard down several steps before coming to a solid smack of a landing. It was a ridiculous thing to have done, as Vincent pointed out (“Mommy! You’re supposed to hold on to the railing!”). And painful. Yes, oh my, painful, yes. I broke my bottom. Naturally, because I have impeccable timing, I’m in a nebulous in-between as I continue to wait for MassHealth to consider my application for health insurance. Purgatorio. So it’s days of Tylenol and side-sitting ahead. Oy. I’ve been reading Poetry in Person, a fantastic collection of interviews of poets who visited Pearl London and her poetry class. Every single interview has had something wonderful to offer. Not a cage to struggle against. Something to build on, something to hold the pieces together. Not merely a structure, but a core. The boys are trying very hard to be quiet, so something naughty must be afoot. It’s September, the first days of autumn — officially here in two days — beginning of migration season — birds & leaves — colder temps and colds. Naturally, my children are celebrating by both of them coming down with whoppers of colds. I’m not the nervous type, but Aidan’s breathing so concerned me last night that we ended up in the ER. Diagnosis, bronchitis, no need for x-rays — at least not yet — we don’t seem to be dealing with pneumonia — at least not yet. Keep an eye on him, etc. They’re both pretty miserable & subdued, one of the side benefits of which is periodic interludes of peace & quiet, sadly uncharacteristic of our usual household. Which is to say that I’m going to use this fleeting time to catch up on some reading & (gasp!) maybe even do some writing. But before I go: I always have poems out there, but September is also the month when open submissions begin for many journals, and hence the month that many writers concentrate on sending their submissions, the Fall Submission Blitz (FSB), if you will. In honor of FSB, below are two witty & simpatico articles on rejection. Let loose the Kraken! Claire Guyton on “Fondling Failure”: Because I’ve saved every one of my rejections since the very first submission I made at the green green age of 19, and I’m so glad I did. They’re historical documents, that history being mine. Rejections aren’t, unfortunately, irreplacable — as long as you submit there are bound to be more — but if I’m doing something right, hopefully they’ll be at least unique, with small pen indentations of encouraging words. And that’s definitely worth saving. For 48 hours, from dinner time on Thursday until Saturday night, Vincent was enthralled by “Syllabo.” His “sister.” He began talking about her and the island where she lived and barely stopped for anything. He appeared by the bathtub while I was taking a shower to tell me more (“Mommy, did you know that Syllabo can climb tall trees, all the way to the very top?”), and then by my bedside at 2:45 am (“We love to play basketball together, me & Syllabo.” “Syllabo has a cape. And a motorcycle-rocketship.”) — I couldn’t quiet him back to sleep until 4:00 am. Sunday the Syllabo-obsession tapered off, probably due to lack of sleep, but today it’s returned, in a milder, but more active, form — he wants us to go visit her tomorrow. Right on. At this very minute he’s drawing me a picture of her all the while keeping up a running commentary: Syllabo is a princess mermaid that can walk and she has a tree house in her back yard. It’s a revelation that he’s drawing recognizable things now — it seems like his pictures transformed from indecipherable scrawls overnight — but I’m most looking forward to his discovery of reading and writing. 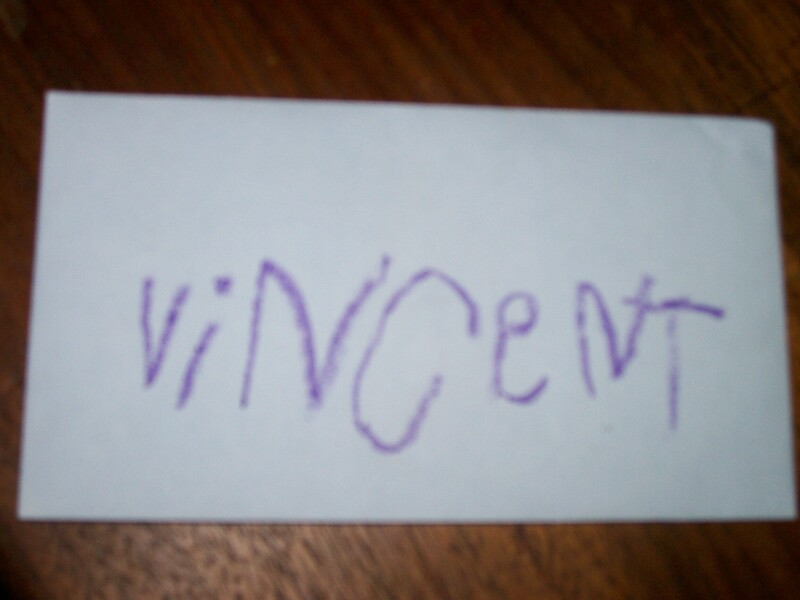 He knows his letters, can write his name, but he doesn’t yet connect how letters form words. When he does, when he learns how to make the stories he tells into his very own books… Can you imagine, can you remember, the absolute wonder of it? I don’t mean the sort of revising that is part of the usual process of writing a poem. I’m thinking more about the revising of poems that have already appeared in print. If you’ve ever seen Galway Kinnell read, you might have noticed the margins of the book he’s reading from filled with pencil scrawls. For Kinnell, there’s no such thing as a finished poem. If he has the impulse to revise an old poem while preparing for a reading (or even during the reading itself! ), he goes ahead and does so, right there on the printed page. I love Kinnell’s work, and what’s more, I would never tell any writer his process is wrong. But I wonder, if you were to track the various versions of his revisions through Kinnell’s books, what would you find? I think there’s always a charged relation between a writer and their early work. At least there is in my case. It’s hard not to see the flaws, the awkwardness and feel somewhat the same as when you see an early photograph of yourself. You think–why did I wear that? How did I let myself look at the camera like that? But it’s a misplaced self-consciousness: You aren’t–and you never will be again–the person who wrote those poems. The most vivid evidence you get of that is when you’re putting together a Selected Poems, as I did some years ago. You have to make a conscious effort to leave the poems alone that should be left alone. There’s a temptation to take poems that you wrote in your twenties and give them the smoothness or understanding you have in your forties. And it can become a kind of forgery. If you’re a blogger interested in hosting a Tupelo poet via Q&A of your own, or a book review, or something of your own devising, and just haven’t gotten around to saying so, it’s not too late. Email me at mgauthier [at] tupelopress [dot] org and throw your name in the ring. Write now, before it falls off your to-do list. And if you’ve written already, don’t worry, I haven’t forgotten you — only hoping to add a few more participants to the list. I really love this batch of new books, I want to get them in the hands of as many readers as I can. Besides these titles just released there are these coming out soon — such terrific poetry and poets! Almost exactly a year ago I wrote the post below. 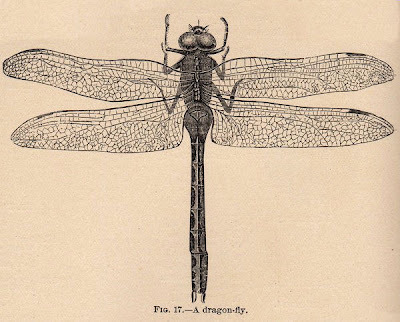 Well, I’m thrilled to say that you can now read my “dragonfly tornado” challenge poem, “Pantala flavescens,” over at Hunger Mountain online. 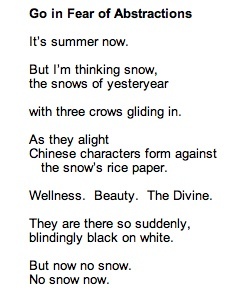 And what’s more, after you read the poem, you can read a short interview with me! Be sure to stick around and see what else they have up — the Hunger Mountain team has been a dream to work with, I’m so happy my poem found a home there. This poem won me a mini-library of new poetry books from my friends, and now this. Forgive me if I’m a little too pleased with myself. It won’t last, I promise.